Developing good study habits before entering college is an essential skill that many gifted and talented children and their parents overlook. Some parents are often surprised to learn that their bright child can ace a schedule of honors or Advanced Placement courses with little studying. They might assume that if their child is receiving top grades in the most advanced classes offered by their school, he will be well-prepared to handle the rigors of university courses. This is an unlikely outcome without good study habits, and waiting until college to learn how to study is much too late when one might already be dealing with living on one’s own for the first time. Here are three tips to help foster this important skill while you still can. 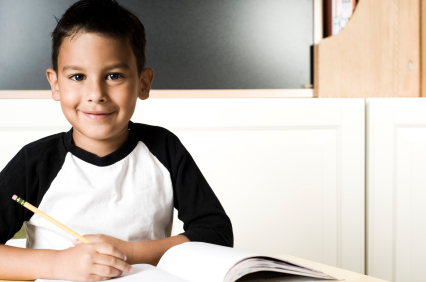 If a talented child attends school in a structured setting, chances are she is already being asked throughout the school day to cover material she already knows or can learn quickly. To ask her to take time at home to study the same material is to double her frustration. You’ll have greater success instilling good habits if you ask your child to study material that actually challenges her. • (Drum roll, please) having to study to do well. Sometimes subject or grade acceleration can help, but parents should keep in mind that even with acceleration, a gifted child is still being asked to learn material that was designed for the way a typical student’s brain works. A better alternative to getting through standard curricula faster is to find an alternative that will encourage your child to understand subjects more deeply by addressing the “Why?” questions bright children are so naturally inclined to ponder. Dweck’s later research showed that children can be taught this growth mindset when educated on how the brain gets stronger and smarter through the process of learning. In this later study, students who were taught about brain development in addition to study skills outperformed those who were taught only study skills. The latter group was not motivated to put those skills to use. So parents, make sure your child understands the positive impact he can have on his brain and save your praise for the effort he puts into learning and studying. In the process of creating the questions, your child reinforces in her own mind the concepts on which she will be tested. When grading, your child must go through the analytical exercise of determining whether your answers are correct and why incorrect answers are wrong. Even if you know the material well, be sure to throw in some wrong answers and ask for explanations of the right answers. There is no simple solution for helping a gifted child develop the study habits he will need in the complex world of university life. However, should he find himself facing true intellectual challenges for the first time without this basic learning tool, he may be at a distinct disadvantage relative to his classmates, regardless of the natural ability that used to take him so far. Like most good habits, studying is one best formed at a younger age when behavior and attitude are more malleable. Give your child the benefits of a true challenge with gifted math and computer science online from IMACS! If you’ve completed elementary school math, explore our Elements of Mathematics: Foundations online courses. Get weekly IMACS logic puzzles on Facebook.